It has been established for some time that our agricultural topsoil is depleted and lacking the full complement of minerals that should be there. Large industrial monoculture farming practices that include no fallow time or alternating crops with the extensive use of herbicides and pesticides are rightly blamed for this lack of minerals. This mineral deficiency is no light matter. It affects the crop foods we eat. Without minerals, vitamins are dysfunctional, and metabolizing them is hampered. Almost everyone is magnesium deficient, for example, and magnesium is involved with over 300 cellular metabolic functions. Some say more. Even organic farmers often have to overcome topsoil deficits initially. Some organically oriented farmers do over time, but it’s safe to assume that other large scale farms don’t or don’t bother much. After all, USDA organic certification depends on how crops are grown, not necessarily on the quality of its soil. Trace minerals are also vital for our health, yet they are mostly ignored and considered insignificant by many medical practitioners and mainstream nutritionists. Relying on supplements for enhancing one’s bodily mineral content has its drawbacks. One doesn’t know the purity of supplemental contents and their other ingredients. How well they’re digested and assimilated is also an issue. 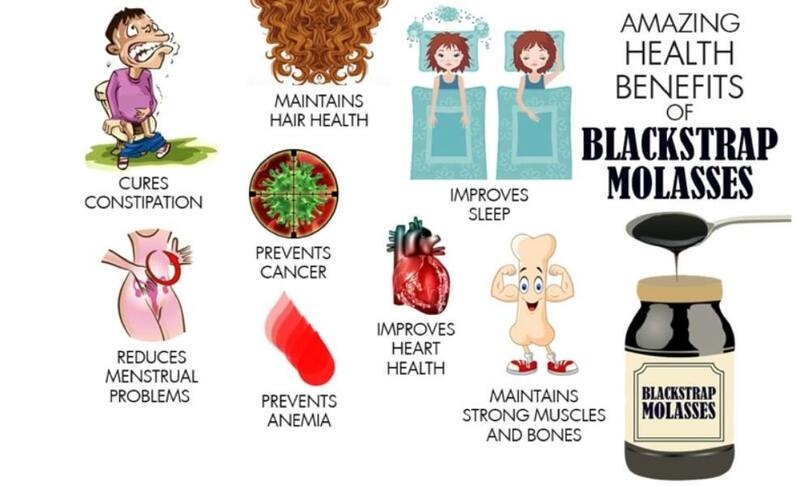 Blackstrap molasses is an excellent source of many minerals. Too much fructose in molasses. It will make you fat.